With the release of the PS4 finally worldwide, Sony has released a few extras to make sure fellow gamers get the best PlayStation experience possible. Alongside the release of the PS4 in Europe, it is now confirmed that the PS4+PS Vita Ultimate Edition bundle has been shipped out to selected retailers as well. To accommodate this release, Sony has also released details into its line-up of free titles for PlayStation Plus subscribers. First off, the PS4 and PS Vita Bundle will only be available in a certain amount of stores around the UK. Unfortunately, at £500 (about $800), it doesn't cost as much less as it would if you bought the systems separately. Respectively, this is Sony's idea to help push out the Remote Play, which allows you to play PS4 games on your Vita, to a good amount of users in the region. Sadly, the bundle does not include any games with it. "It'll come to market in a few different shapes and sizes. You may walk in and get a great deal on 'buy a Vita when bought with' type deal. So if you buy a PS4 you can get a Vita for X. And others will say, well here's the Ultimate Bundle and you get all those bits in it. But as a base price point, in other words for the two consoles, we expect the gamer to be able to pick that up for under £500. It's not a hard bundle pack at this point in time. It's us working with the retailer to effectively deliver a soft bundle." as stated by Sony UK managing director Fergal Gara on Eurogamer. In other news, if you are a PlayStation Plus member, then you will be receiving a free copy of Resogun and Contrast for PlayStation 4. Also, Grid 2 and Guacamelee! will be free on PS3 as well as Sonic & Sega All-Stars Racing and Grand Theft Auto: Liberty City Stories for the PS Vita. But wait, there's more; Trine 2 will be 20% off and Super Motherload will be 10% off until December 18th. That is a lot of content, and it honestly seems worth it. So what are your thoughts on these to PlayStation-related developments? 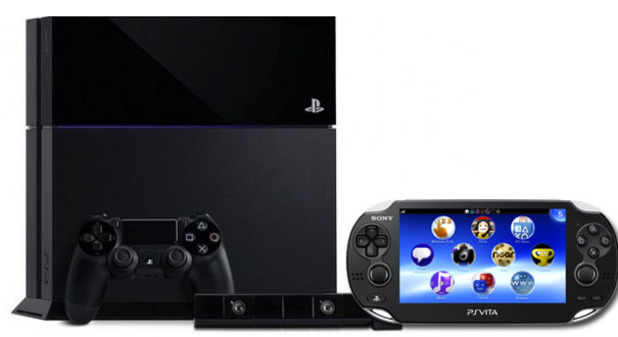 Will you be getting the PS4 & PS Vita bundle? Are you satisfied in this month’s plethora of free games for Plus members? So many unanswered questions! Make sure you answer them in the comments below.